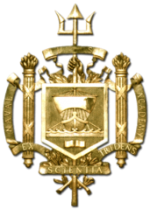 The United States Naval Academy was founded in 1845. The Naval Academy was founded by George Bancroft. The Naval Academy has changed with the times, embracing new cultural and technological advances. The Naval Academy has advanced greatly throughout the years using technology and best practices as it’s guide.The Academy currently ultilizes nuclear-powered submarines and supersonic aircraft. Midshipmen are equiped with solid academic and physical training in order to be effective naval officers upon graduation. The United States Naval Academy’s mission is to develop strong midshipmen who are ready to serve. The Naval Academy also strives to provide moral development in all aspects of learning. In order to prepare future officers in the Navy or Marine Corps, emphasis is put on mutual respect, honor and integrity. The Naval Academy’s program is a four year integrated continuum that helps to develop a clear sense of one’s own moral beliefs and responsibility. The Naval Academy also helps to produce strong officers by teaching the value of respect and honesty. 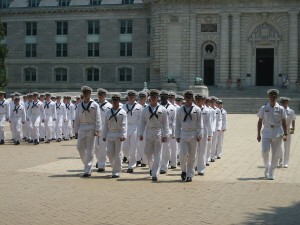 Academics play a very important role in the development of a midshipman. The academic program is based on a strong core curriculum that includes courses in engineering, mathematics, science and humanities. These courses will help are designed to qualify students for almost any career field in the Navy or Marine Corps. There are also opportunities to take honors programs and postgraduate degrees while still at the United States Naval Academy. The Naval Academy also provides leadership training so that in time you will no longer be the one taking orders, but giving them to others in order to prepare yourselves for real life missions. Classroom studies are complemented by many hours of practical experience on land and water. Physical fitness is also very important for those wanting to pursue a career in the Navy or Marine Corps in order to develop teamwork and leadership. The Naval Academy helps to train and prepare the body for stressful and grueling physical conditions through Plebe summer training and four years of year round athletics. In order to be eligible to apply for the United States Naval Academy you must be at least 17 and younger than 23 years old. You must also be single (unmarried) and not pregnant (and not planning to become pregnant). You must also be of sound moral fiber, be medically and scholastically qualified and receive an official nomination from an accredited source. You must also pass the Naval Academy’s Physical Aptitude Examination in order to make sure you are physically sound for training. The United States Naval Academy is 340 acres. It is home to many halls and principal buildings including Bancroft Hall which is the largest college dormitory in the world. It is home to all midshipmen. There is also the Naval Academy Chapel which is located in the middle of the campus which has a high dome visible by the entire city. 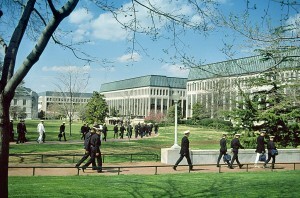 Alumni Hall is the primary assembly location for the Brigade of Midshipmen and has two dining facilities. The Bob Hope Performing Center is also located there. The United States Naval Academy is a whirlwind four years that are set to prepare you to be the best you can be. It begins with the exhausting Plebe summer which will solidify the experience of working as a team and following commands. Within your next few years you will begin to train and lead allowing your experience to come full circle. The strict brigade experience will teach you to trust and rely on each other while you sleep, study, eat and practice drills. There are many extracurricular activities that will allow students to pursue their own personal interests including; Academics, Music, Non-Competitive sports, Professional, Religious, Heritage, Community Service, Publications and Spiritual. The United States Naval Academy has a wonderful sports program that is meant to fulfill the physical development of Midshipman. Bill the Goat is the popular mascot that helps to bring life and encouragement to the sport. 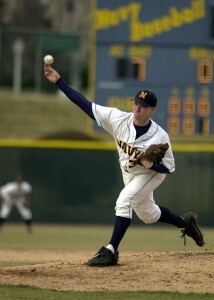 There are a wide variety of sports programs to choose from allowing for team sport sand personal development. Good sportsmanship is a quality that the United States Naval Academy is known for and is demonstrated in sports ranging from football to cross country. The United States Naval Academy boasts a wide variety of notable graduates including the 39th President of the United States, Jimmy Carter. Professional basketball player, David Robinson graduated in 1987 and went on to play for the San Antonio Spurs and for the US Olympic basketball team three times. There have also been 24 members of congress, 73 Medal of Honor Awardees and 52 Astronauts that have graduated from the United States Naval Academy.